TIFF, an acronym for Tagged Image File Format, is one of the most widely used file formats for storing images. TIFF images can use almost any resolution, and they can be black and white, gray-scaled, or color. Many different compression methods are also supported by the format. Compression methods like CCITT-G4, Deflate and LZW are commonly used. TIFF was created by the Aldus and Microsoft Corporations, and the specification was owned by Aldus (acquired by the Adobe Corporation in 1994). Today, almost all image related applications supports the TIFF file format. A huge range of scanners, faxes and printers does also support TIFF. Files in TIFF format usually end with a .tif or a .tiff extension. An initiative for a new TI/A (Tagged Image for Archival) format was started in 2015. The goal is to create a new standard for long term archiving of TIFF files. 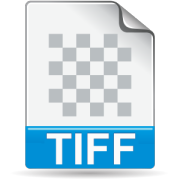 TIFF is widely used to preserve digital images. But the specification of TIFF is very complex and some of its features are not suitable for long-term archival purposes. TI/A will use a subset of TIFF which is fully compatible with the TIFF standard, but some tags will be mandatory, some will be optional and some will be forbidden. This is necessary to guarantee correct rendering in the future. You may read more about the initiative on the TI/A Standard Initiative website. An open source tool, DPF Manager, is being developed to test TIFF and TI/A conformance. You will find more information about this tool on the DPF Manager project page. All our software products can convert from a wide range of other formats into TIFF format. ViewCompanion Pro and Premium can view, annotate, print and convert TIFF files. Our developer products, scViewerX and scConverter can both open and create TIFF files.